A DWI Assessment, also known as an Alcohol Assessment, is required of anyone who is convicted of DWI in the state of North Carolina. 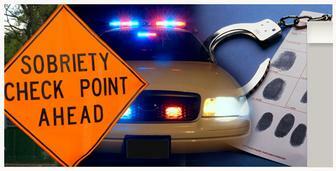 You cannot receive a Limited Driving Privilege without a DWI Assessment. Furthermore, obtaining a proper assessment and treatment can potentially help you if obtained ahead of your court date. A state-licensed facility such as DWI Services Inc. in Clayton and Smithfield, NC is required to perform the DWI Assessment, evaluate the results, and provide recommended DWI treatment. The cost of the DWI Assessment is $100. This price is the same state-wide in NC. The full fee is to be collected at the time of the assessment. Clients can make appointments for DWI assessments at their convenience and be assessed as scheduled without waiting. JCS now offers Friday evening appointments and Saturday afternoon appointments available for convenience. Clients are assessed in a non-judgemental manner. As a private clinic, strict confidential control of client records is maintained. A lifetime driving history is required as part of the DWI assessment. A lifetime driving record can be obtained at the DMV in Raleigh or our staff will assist clients in obtaining one at the time of the assessment. North Carolina Statute establishes DWI assessment fees. The cost of the assessment is one hundred dollars ($100.00). Clients with literary issues may choose to complete the assessment verbally. Clients and their attorneys may obtain information from our staff without bureaucratic red tape, or unwarranted waiting. Upon clients' requests, assessments are delivered to clients' attorneys for presentation in court. We will discuss DWI assessment results with clients' attorney at no cost to clients. JCS ensures required documentation for the restoration of driving privileges is accurate and presented promptly to appropriate agencies. Clients completing recommended counseling, prior to court date will be provided written documentation for presentation in court. Alcoholism Treatment recommendations will be determined based on assessment results. Recommendations will be available immediately following the assessment. *Call 919-938-0921 or email us today to schedule.